You have a vision for your personal or business website. We have the background and knowledge to make it come to life! You may say "I don't know how to explain it but I want my website to do this, and look like this, and...". We may talk code, scripting, development and other website related jibberish to you, but in the end you get your professional, responsive website, developed with search engine placement in mind. Dakota Web Creations designs & develops professional responsive websites, and provides Search Engine Optimization (SEO) services in Fargo ND. Dakota Web Creations has been providing these professional website design & search engine optimization services to our many customers since 1997. We work hard to understand your website design needs and your goal for using that website, and strive to ensure that it is functioning and performing in the manner you needed. Dakota Web Creations has worked with individuals and businesses both large and small to provide their website development needs. Dakota Web Creations has years of experience understanding the many driving factors and requirements behind quality search engine results page listings, social network integration and metatags, and more. The diversity of our website customers is broad-from hunting dog training, home builders, home theater and audio, insurance, beauty & salon, pool & spa, ATM services, landscaping, golf courses and more-we have enjoyed working with them and helping their online presence grow using modern website designs and smart SEO practices. Even though we are located in Fargo, ND, the nature of our business is building websites for the internet. The internet does not have borders, andis available anywhere, any time, every day. Dakota Web Creations has customers in Fargo, North Dakota, the upper Midwest, and all over the United States. Dakota Web Creations creates professional websites that in addition to being diverse and rich with SEO content, they are also responsive. 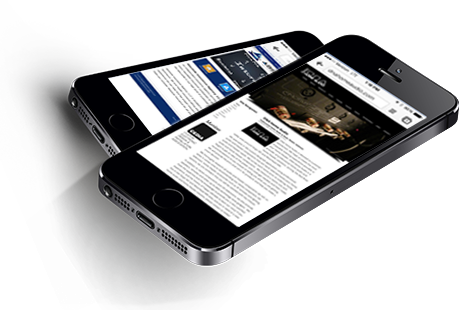 A responsive website design means that they will scale to fit on smart phones, tablets and more. Responsive website designs are great in today's on the go environment with consumers utilizing smart devices multiple times daily. Responsive website designs are created in a way to be easily viewable on personal portable devices. Keeping that in mind, not all responsive website designs are able to accomplish that, and many responsive websites will not 100% match a website design that is viewed on a desktop monitor. Responsive websites are also carrying higher search engine ranking criteria for Google today. It also is just smart business to have a mobile friendly website too. The following list outlines various website & marketing services and what we can do for you and your business! Website planning-research, strategy, finding a concept. Domain name and website hosting-helping you choose and register a smart domain name and selecting a hosting package. Existing website upgrade and refresh. Custom graphics and logos-creation of original logos and illustrations, or altering current company logo. If you are looking for a professional website design company to partner with, consider partnering with Dakota Web Creations. For additional information please contact us today! Dakota Web Creations is a Fargo, ND based designer and developer of professional responsive websites, and provides Search Engine Optimization (SEO) services to make your business succeed online! We provide responsive website solutions to individuals and businesses large & small.